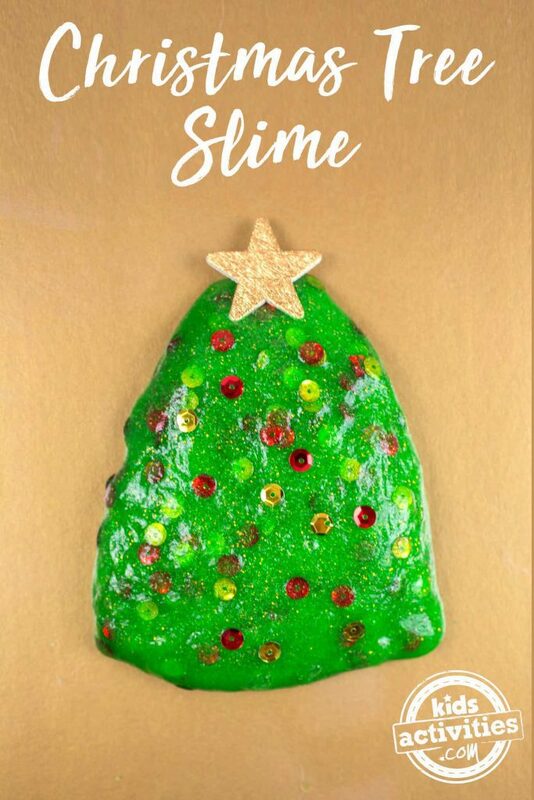 Kids will love making glittery Christmas Tree Slime this holiday season! Doesn’t this look just like a Christmas tree with its sparkling sequins? 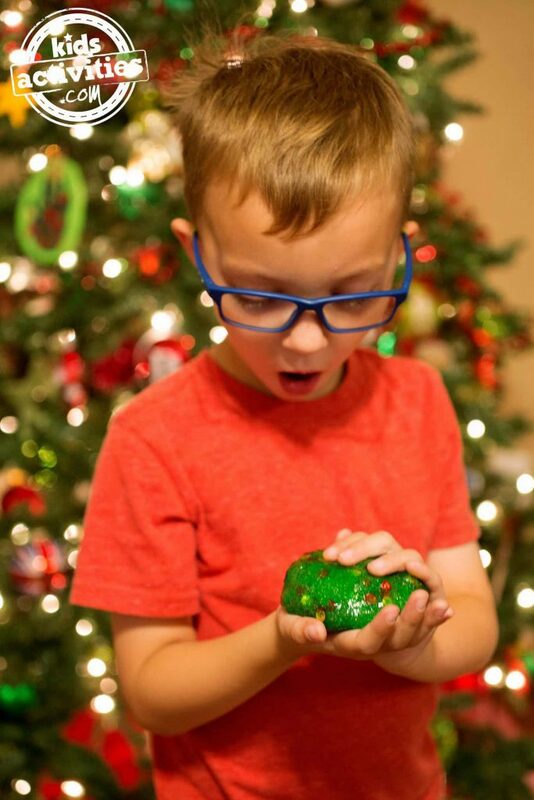 We’ve partnered with Elmer’s glue to bring you this fun kid-friendly slime project! 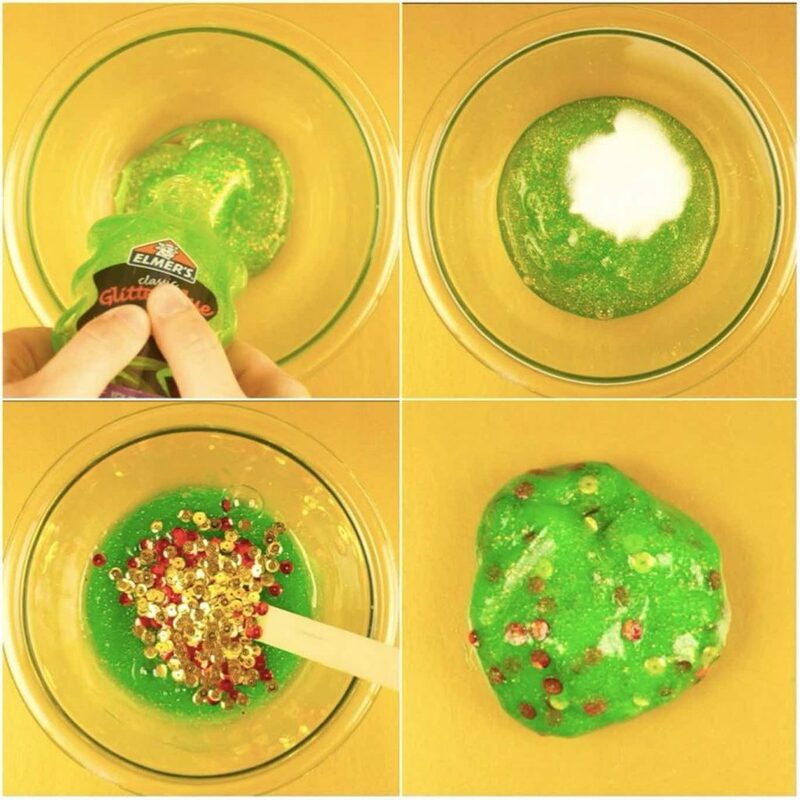 When making slime with our kids, we trust Elmer’s glue because of its kid-friendly ingredients. Empty the bottle of Elmer’s Glitter Glue into a small bowl. 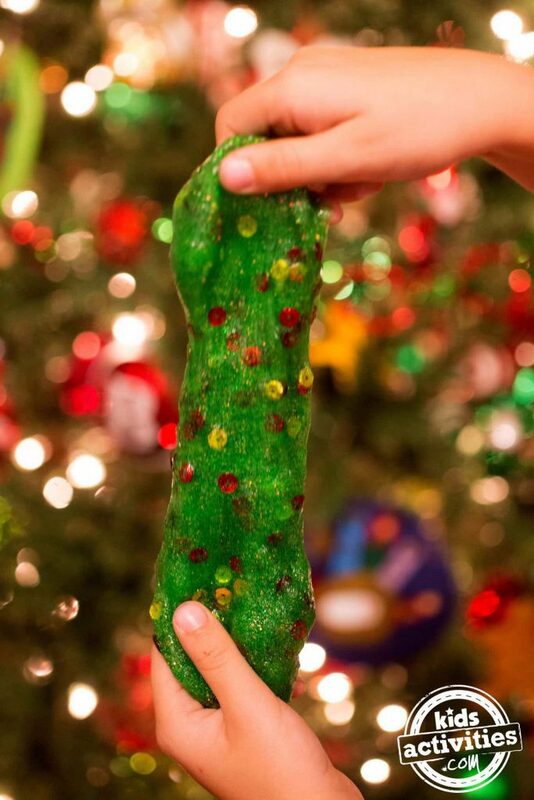 Stir in a few drops of green food coloring to give the slime an even darker green color. Add baking soda and stir until dissolved. Stir in the red and gold sequins. Then add the contact solution and mix well. When the mixture comes together and pulls away from the sides, remove it from the bowl. Stretch and knead it until it becomes less sticky and reaches your desired consistency. Be sure to learn more about slime by visiting the Elmer’s website. 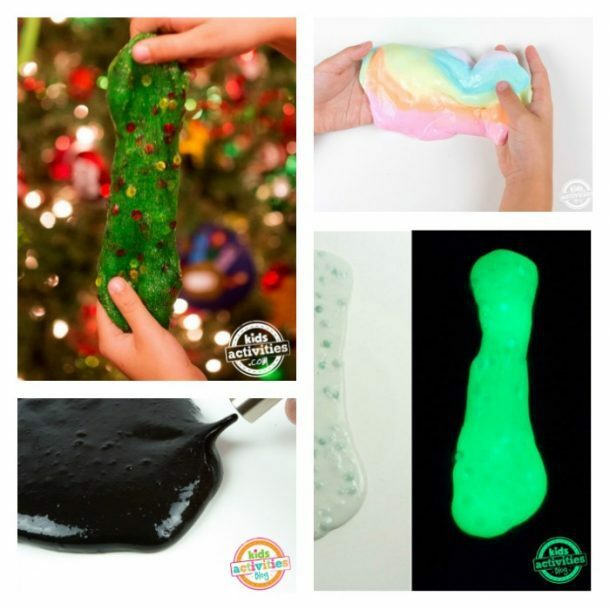 For more kids activities and slime recipes, join our Facebook community.